A wanted Jewish Israeli organ trafficker has been arrested at Istanbul’s Ataturk airport in Turkey, a Turkish news agency reported, according to Days of Palestine.Dogan news agency said that Israeli national Boris Volfman was arrested on suspicion of organ trafficking and fraud, after flying from Bangkok on Friday night. The Ukrainian-born Israeli apparently came to Turkey to harvest organs from desperate Syrian refugees, the daily Vatan newspaper reported. There was no comment from Turkish or Israeli authorities concerning Volfman’s arrest, but a Turkish court, on Saturday, ordered his extradition to Israel, after a 40-day incarceration period. Turkish media reported that an investigation had been launched to determine his contacts in Turkey. 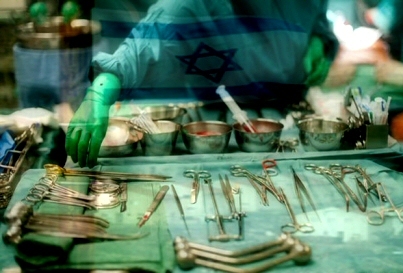 It is worth mentioning that the Israeli state has a long record of human organ trafficking, and that its agents are active during times of disasters.